Colorful butterflies flutter in the few rays of sunlight that penetrate the bottom of the humid jungle. 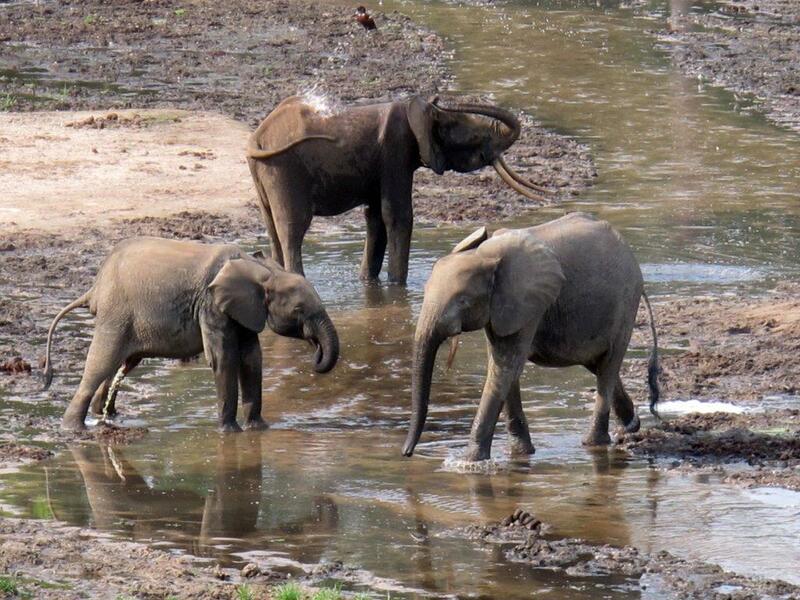 At a water hole where two days ago poachers killed a forest elephant the stench of rotting flesh fills in the air. The biological cycle is particularly fast here; the poached animal has already for the most part been devoured by soldier ants and other insects. “This is the heart of the Congo Basin”, says German biologist John Kirchgatter, “this area is unique for its biodiversity”. John Kirchgatter works for the World Wildlife Fund (WWF). A little further on a gorilla with a bulging belly sits leaning against a tree picking his ear. Attentively he follows his females who are eating leaves nearby. He coughs, then they answer. When there is no response, he calls “hu hu”, followed by threatening strikes on his chest. The wildlife park Dzanga Sangha is a haven for biologists and an abattoir for poachers. Kilos of ivory worth hundreds of thousands of euros are piled up at the headquarters of Dzanga Sangha in the Central African Republic. WWF employee Guillome Dubosq shows the spoils of war of the last year against poachers, which besides tusks consists of dozens of guns and 36,000 metal clamps. 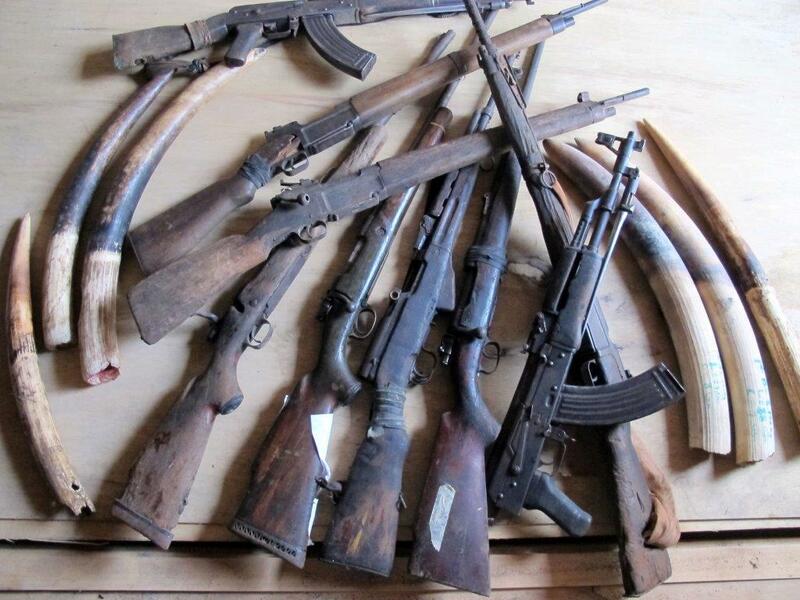 Game wardens, or eco-guards as they are called here, arrested thirty poachers. “Elephants poachers are of all nationalities; they move from one to the other park in Africa”. 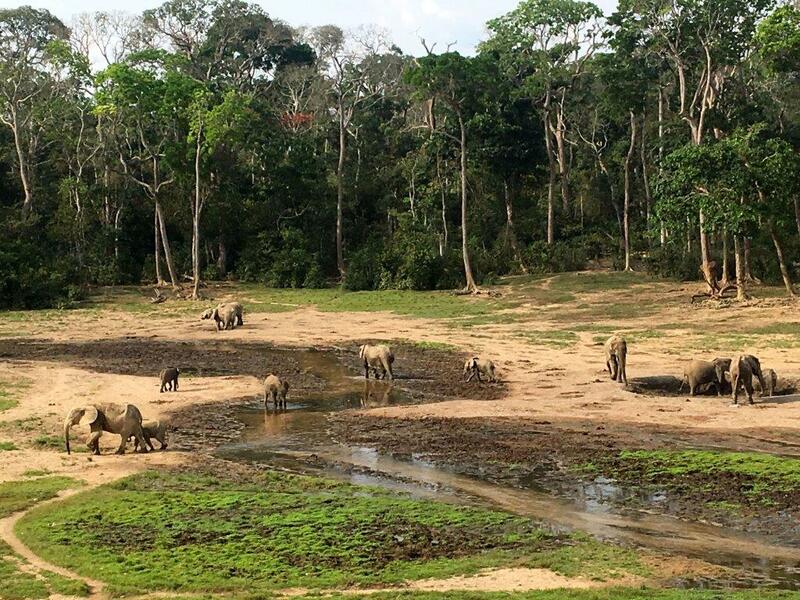 Dubosq worked until last year in the Minkébe National Park in Gabon, which was recently in the news because poachers over the past twelve years slaughtered 25 000 forest elephants, leaving only 7,000 behind. 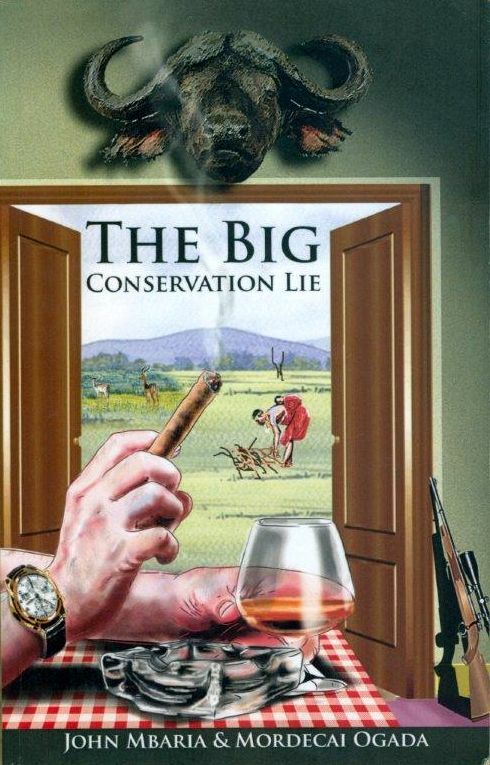 The fight against poachers was for a long time the cornerstone of nature conservation in Africa. The philosophy was that people had to live separated from the animals in the protected wildlife parks. One of the founders of the protected areas was the German professor Bernard Grzimek. He wrote sixty years ago: “If a national park wants to keep its essential character, it must remain a pristine wilderness. Nobody, not even the natives can live there”. Such thoughts are now seen as obsolete in Africa. In Dzanga Sangha the WWF policy is one of integrated land use. “We involve local communities in conservation indeed,” Dubosq explains. 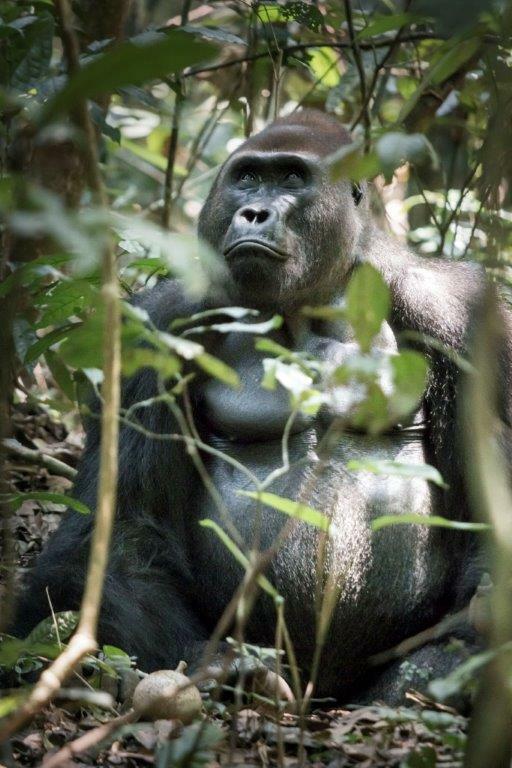 In his previous job in Gabon he experienced how new roads for logging and mining area paved the way for poaching in the park. “Our conservation policy here in Dzanga Sangha works better”, says Dubosq. “Around the park a buffer zone was established where logging and farming are allowed and where one can hunt by traditional means, such as bow and arrow, spear and fiber trap”. The WWF plays a central role in Dzanga Sangha since the park was established in the beginning of the 90’s. WWF is a leading NGO in the world, present in a hundred nations, with a budget of millions of dollars and five million members. In a poor country like the CAR, with no effective government, or in the neighboring corrupt Cameroon, it performs tasks for which it is not equipped. That sometimes leads to severe criticism of the WWF; WWF is accused of being complicit in gross human rights violations against the pygmies, the original inhabitants of the rainforest at Dzanga Sangha. In the tropical jungle of Dzanga Sangha it feels rather absurd that two European organizations are in conflict about their business in a remote place in Africa. The dispute became so hot between the WWF and Survival International, a NGO for indigenous peoples in London, that they put their controversy to the Organization for Economic Co-operation and Development (OECD) in the snowy mountain state of Switzerland. Stephen Corry is head of Survival International. In a written response, he accuses the WWF of “crimes and complicity in theft of land of pygmies”. The core of the criticism is the alleged misconduct of eco-guards, who are trained with WWF money. Guillaume Dubosq who is the head of the 65 game guards in the park in the Central African Republic, denies the allegations. “A strong beating, no, we do not. Maybe a slap here and there, yes. And do not forget the historic context. The BaAka were a kind of slaves for the Bantu who came from outside the area. That is where some of the misdemeanors against BaAka’s come from”. The pygmies, or BaAka as they call themselves in the Central African Republic, are one of the oldest communities in the world and form part of the Congo basin since human memory. Population pressure and roadbuilding put the indigenous culture of the BaAka under pressure and reduced them to paupers. But they are not responsible for the depleting number of wild animals. “Hunting by the BaAka in the buffer zone is not the problem”, says Kirchgatter. “They could eat an elephant every day”. He blames what he calls “a bush meat mafia”. West Africans like eating monkeys, duikers, rats, termites and snakes; poachers and traders meet that demand. Kirchgatter of WWF helped to set up Dzanga Sangha. “These days I spend half of my budget for Dzanga Sangha on people”, he says. 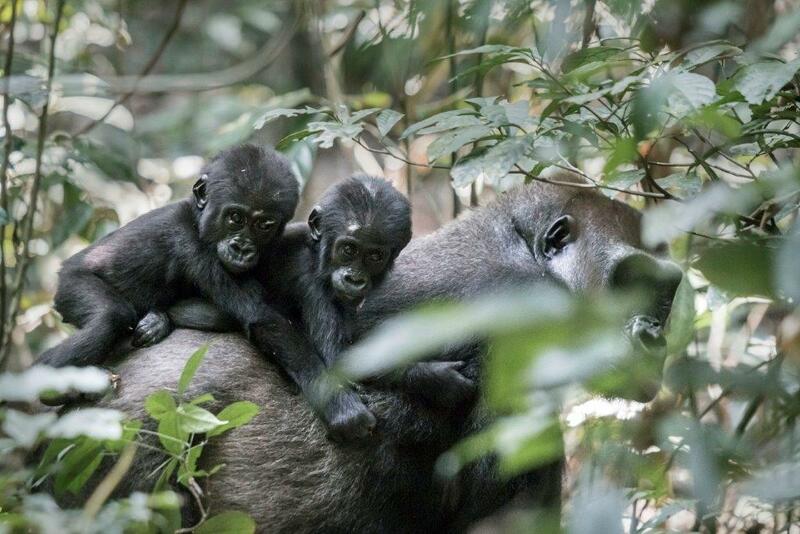 “The BaAka are the best example of how people form an integral part of the ecosystem, without destroying it”. WWF contributes two million dollars annually for maintenance of the park, and it pays for a human rights office, a youth group, a radio station and it gives money for health. The biggest blame lies with the weak state institutions in Africa. “Large foreign organizations run by whites with a sense of superiority take over the state, because the state institutions in Africa are so weak”, says Mordecai. “We Africans cherished traditional ethics of conservation”. Forests have a spiritual value, animals and trees were respected. “We must strive for the return of this African model for conservation”.